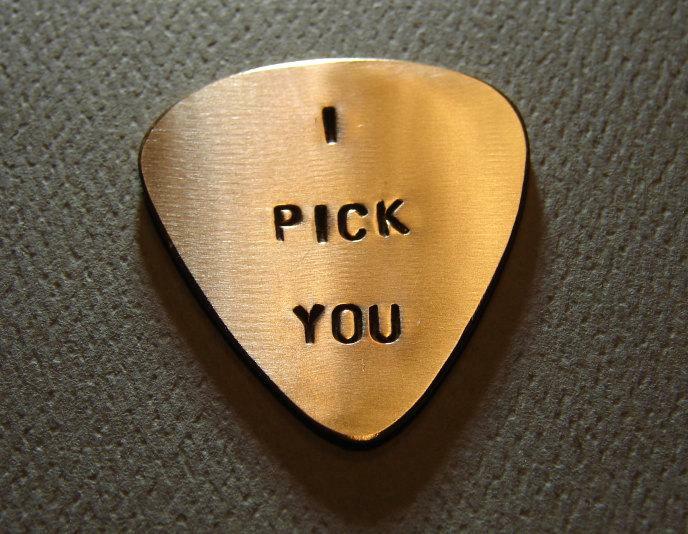 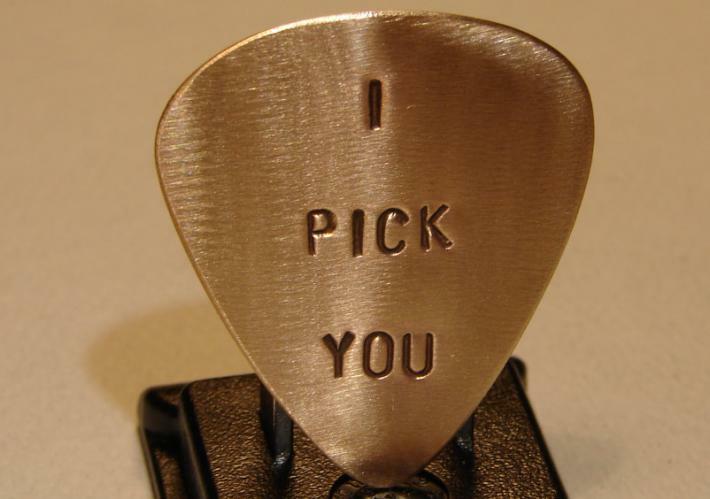 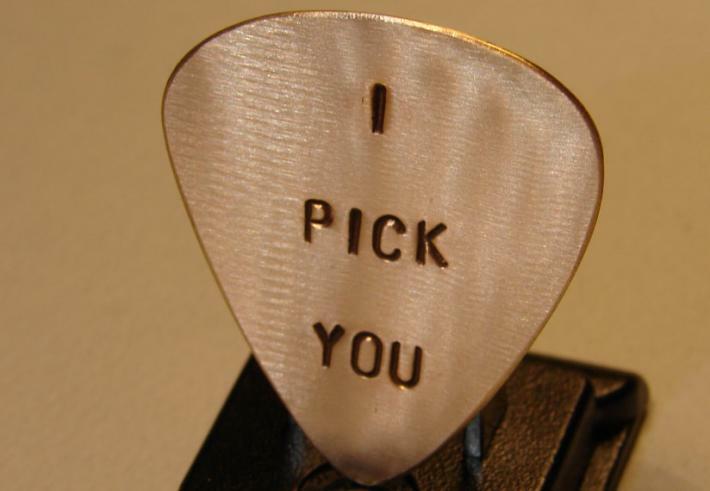 Stamped one letter at a time with I Pick You, this bronze guitar pick was custom cut from 20 gauge bronze in our studio and is ready to rock out some serious love music or play a screaming guitar solo with magical powerslides. 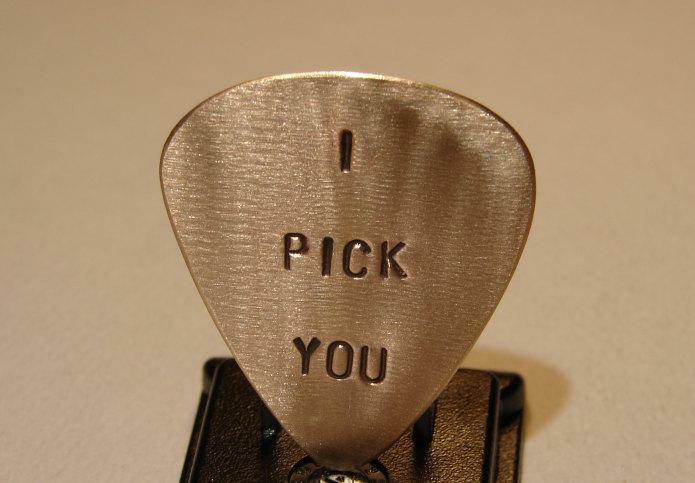 The edges were filed by hand and surfaces polished smooth to allow this bronze pick to glide across the strings and produce an ear-pleasing bright tone. 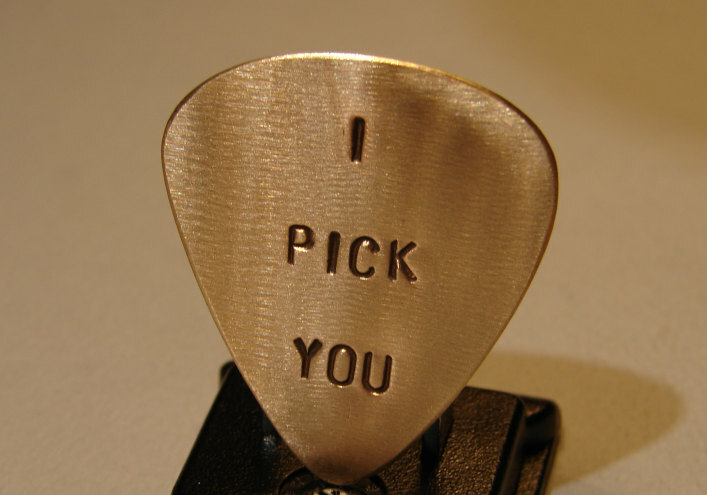 A black patina was added to the I pick you for contrast against the warm golden glow of bronze.